Les refoulements illégaux à #Evros (frontière gréco-turque) non seulement continuent mais leur nombre ne cesse d’augmenter. Ce #rapport est d’autant plus inquiétant qu’il est publié juste une dizaine de jours après la noyade de plusieurs personnes de nationalité turque, dont deux garçons de 3 et 5 ans dans les eaux glacées d’Evros. Il s’agissait d’une famille d’enseignants licenciés et poursuivis par le régime d’Erdogan. The Greek Council for Refugees has issued a 14-page report containing refugee testimonies of “systematic pushbacks” by Greek police in the country’s northeastern border with Turkey in the Evros region. In a series of interviews, the victims – including families with children, pregnant women, and minors – describe beatings and inhuman treatment in the hands of the police in breach of international humanitarian law. The organization warns of a rise in the number of pushbacks and urged Greek authorities to investigate the claims. Dernier #rapport en anglais et en grec du Conseil Grec pour les Réfugié-e-s publiant un certain nombre de témoignages attestant de refoulements à la frontière gréco-turque en particulier au niveau de la rivière #Evros. Des refoulement ont également eu lieu de personnes en possession de documentations les autorisant á séjourner en UE, par ex. un réfugié en Allemagne souhaitant entrer en Grèce pour y accueillir son épouse et entamer avec elle les démarches de regroupement selon Dublin III. Les détails sordides faisant état de traitements inhumains et dégradants, de la violence physique à l’intimidations, abondent, que ce soit envers des hommes, des femmes ou des enfants. Ces témoignages attestent d’une tendance à l’arrestation par des personnes en noir, cagoulées, qui ne portent pas d’uniforme officiel de police. Les personnes interceptées sont transportées de force en bus vers des lieux de détention insalubres puis abandonnées à la frontière. Il est malheureusement évident que les entraves à la demande d’asile sont nombreuses. Early in 2019 the Eritrean government will take over the chair of the key Africa and European Union (EU) forum dealing with African migration, known as the Khartoum Process. primarily focused on preventing and fighting migrant smuggling and trafficking in human beings. Chairing the Khartoum Process alternates between European and African leaders. In January it will be Africa’s turn. The steering committee has five African members – Egypt, Eritrea, Ethiopia, South Sudan and Sudan. A number of others nations, such as Kenya to Tunisia, have participating status. The African countries chose Eritrea to lead this critical relationship. But it’s been heavily criticised because it places refugees and asylum seekers in the hands of a regime that is notorious for its human rights abuses. Worse still, there is evidence that Eritrean officials are directly implicated in human trafficking the Khartoum Process is meant to end. That the European Union allowed this to happen puts in question its repeated assurances that human rights are at the heart of its foreign policies. The Khartoum Process involves a huge range of initiatives. All are designed to reduce the number of Africans crossing the Mediterranean. These include training the fragile Libyan government’s coastguards, who round up migrants at sea and return them to the brutal conditions of the Libyan prison camps. The programme has sometimes backfired. 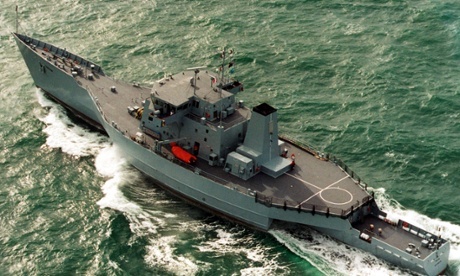 Some EU-funded coastguards have been accused of involvement in people trafficking themselves. The EU has also established a regional operational centre in Khartoum. But this has meant European officials collaborating with the security forces of a government which has regularly abused its own citizens, as well as foreigners on its soil. President Omar al-Bashir himself has been indicted for war crimes and crimes against humanity by the International Criminal Court. The planned countertrafficking coordination centre in Khartoum – staffed jointly by police officers from Sudan and several European countries, including Britain, France and Italy – will partly rely on information sourced by Sudanese National Intelligence. The centre also receives support from Sudan’s Rapid Support Forces, which grew out of the Janjaweed: notorious for the atrocities it committed in Darfur. irregular migration, migrant smuggling and trafficking in human beings. Europe promised to offer training to law enforcement and judicial authorities in new methods of investigation and to assist in setting up specialised anti-trafficking and smuggling police units. It is this sensitive relationship that will now come under Eritrean supervision. They will be dealing with some of the most vulnerable men, women and children who have fled their own countries. It is here that the process gets really difficult, because Eritrean government officials have themselves been implicated in human trafficking. UN researchers, working for the Security Council described how this took place in 2011. More recently, survivors of human trafficking interviewed by a team led by Dutch professor Mirjam van Reisen, described how the Eritrean Border Surveillance Unit ferried refugees out of Eritrea, at a price. The danger is that implicated Eritrean officials will play a critical role in the development of the Khartoum Process. The EU has repeatedly stressed that its commitment to human rights runs through everything it does. Yet the Eritrean government, with which the EU is now collaborating so closely, has been denounced for its human rights abuses by no less than the Special Rapporteur for Eritrea to the UN Human Rights Council as recently as June 2018. The many violations in Eritrea are of a scope and scale seldom seen anywhere else in today’s world. Basic freedoms are curtailed, from movement to expression; from religion to association. The Commission finds that crimes against humanity may have occurred with regard to torture, extrajudicial executions, forced labour and in the context of national service. The EU itself has remained silent. It is difficult to see how the EU can allow its key African migration work to be overseen by such a regime, without running foul of its own human rights commitments. European leaders need to reconsider their relationships with African governments implicated in gross human rights abuses if they are to uphold these values. The Khartoum Process may have reduced the flow of refugees and asylum seekers across the Mediterranean. But it hasn’t eliminated the need for a fresh approach to their plight. Il governo italiano ha annunciato a Roma un’intesa per realizzare dei campi profughi nei paesi d’origine e di transito dei migranti per esaminare le richieste d’asilo sul posto. L’accordo, noto come “Processo di Khartoum”, è stato sottoscritto a fine novembre dai 28 paesi dell’Unione europea più Egitto, Eritrea, Etiopia, Gibuti, Kenya, Libia, Somalia, Sudan, Sud Sudan e Tunisia. «Il nostro nuovo obiettivo è quello di affidare l’esame dei migranti richiedenti asilo ad avamposti dell’Unione Europea in Africa per fare sì che lì avvenga lo #screening tra chi abbia diritto e chi no» Così il ministro Angelino Alfano nel corso di un’audizione al Comitato parlamentare di controllo sull’attuazione dell’Accordo di Schengen. Secondo il titolare del Viminale, infatti, si deve puntare ad un’equa distribuzione dei migranti che chiedono asilo. Sono solo 5 o sei i paesi europei che attualmente si fanno carico dell’intera vicenda dell’immigrazione. 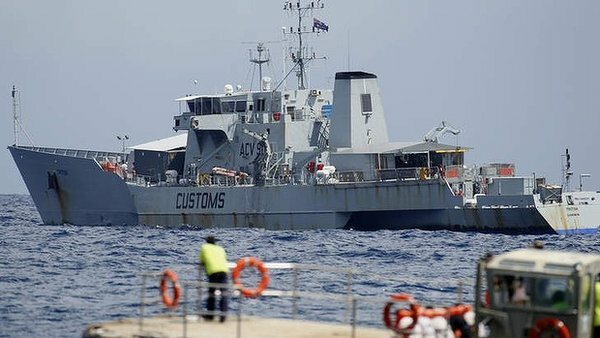 The second asylum seeker boat to recently attempt the journey to Australia has been intercepted by Australian officials who allegedly screened people on board via a teleconference. A source from the immigration department has confirmed the ACV Triton, a 98-metre Australian customs patrol boat, intercepted the asylum seeker vessel on the weekend. The boat was initially thought to have come from Java, Indonesia, but Fairfax Media understands the boat departed from Sri Lanka. It is understood interpreters were brought into the Sydney and Melbourne offices of the department on Saturday and Sunday to help ’’screen’’ the asylum seekers.